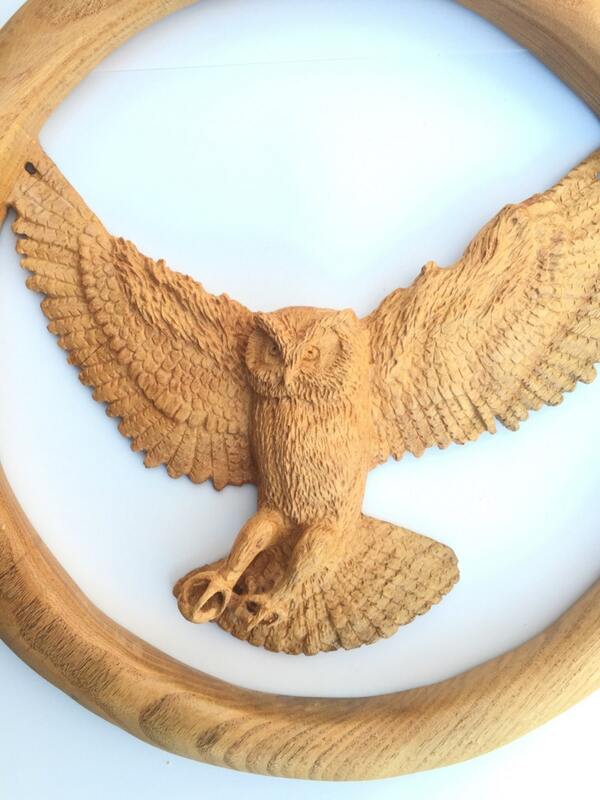 This is a wood sculpture of an owl. 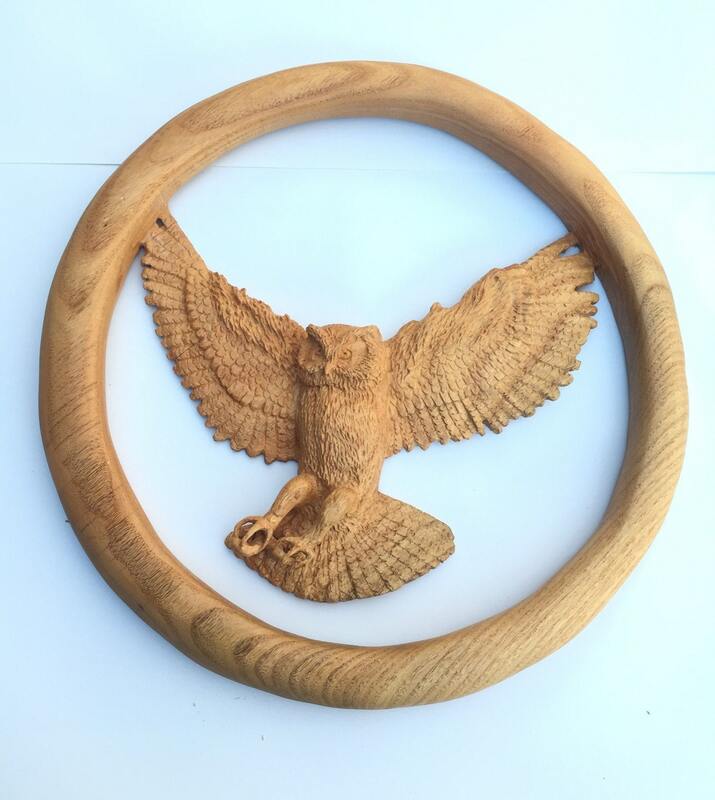 It is hand carved by me, Josh Carte, in a piece of Honey Locust wood. 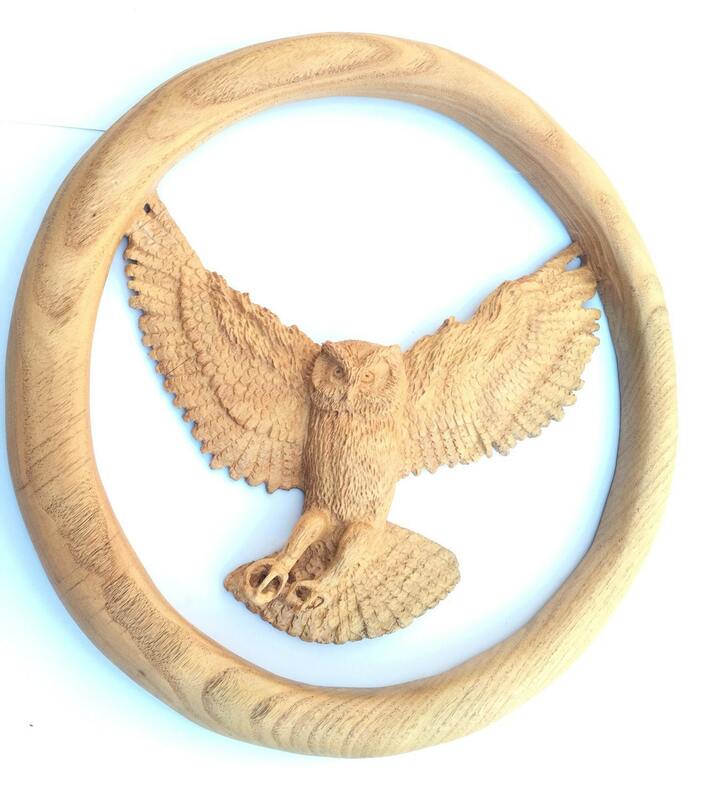 This wood carving makes a perfect and unique wood gift. This is an original piece of art that fits perfectly into any decor including log home decor. 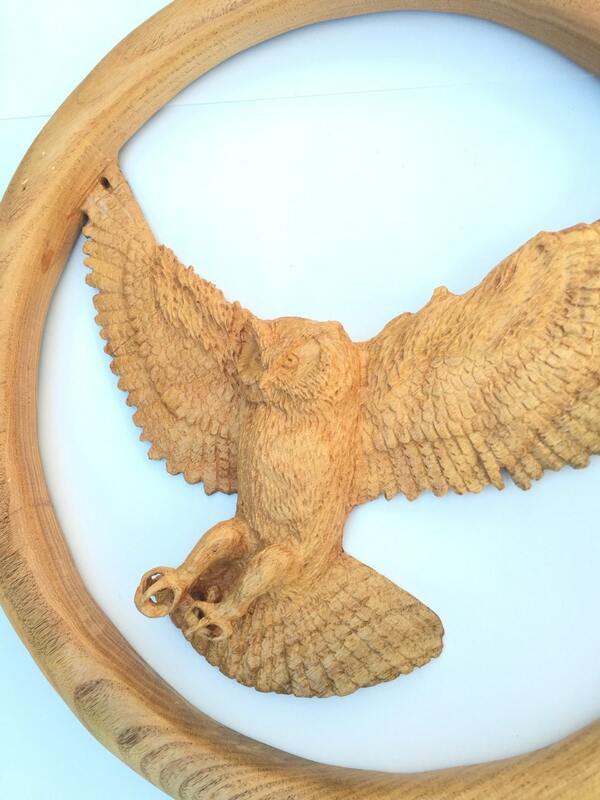 This wood sculpture is made in a piece of Honey Locust wood. This is a very hard and beautiful wood species. This carving measures 12" in diameter. It is about 1" thick. This style of carving is called pierced relief. It is a very labor intensive form of carving, but worth every minute. I just love this finished piece! I began the carving as a drawing, cut out the negative spaces with a jigsaw, and then began the real work. I carve using tools very similar to those of a dentist. I use many different burs and sanders to achieve multiple effects of detail. 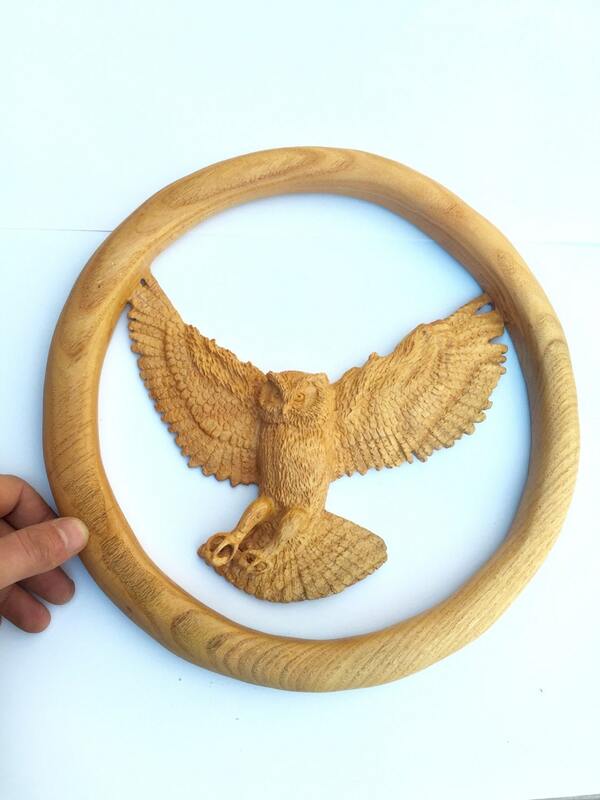 This carving is finished with 3 coats of urethane. There is a hanger on the back, so when you receive the carving you just need to find the right spot. I have also signed and dated the back of this piece. Everything in my shop is made by hand, be me. I don't have any elves or helpers. I am in charge of the carving, shipping, packing, listing, communication, etc. When you buy from me, you are helping to support my family- we really appreciate it! If I can be of any help at all, please contact me. You can reach me here on etsy, carpcuts [!at] live.com or 740-385-4487.